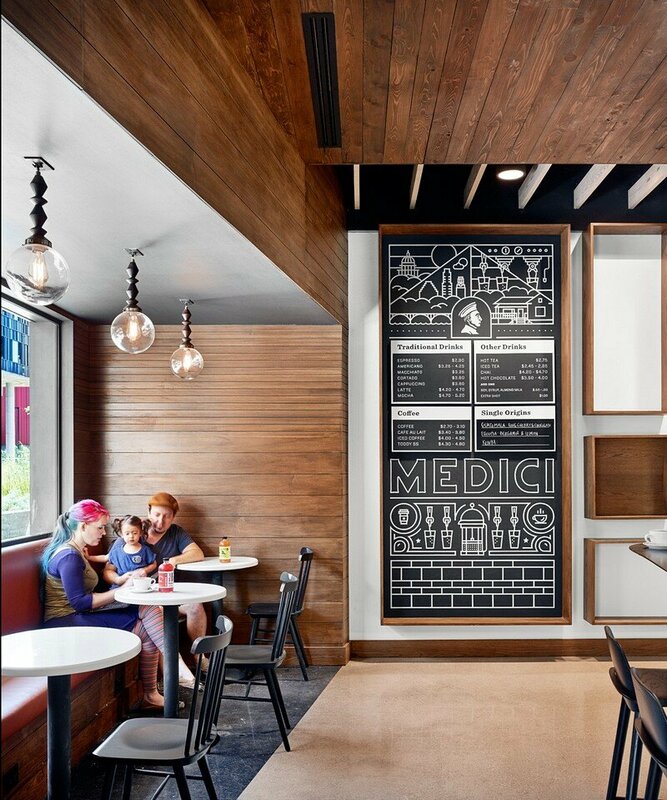 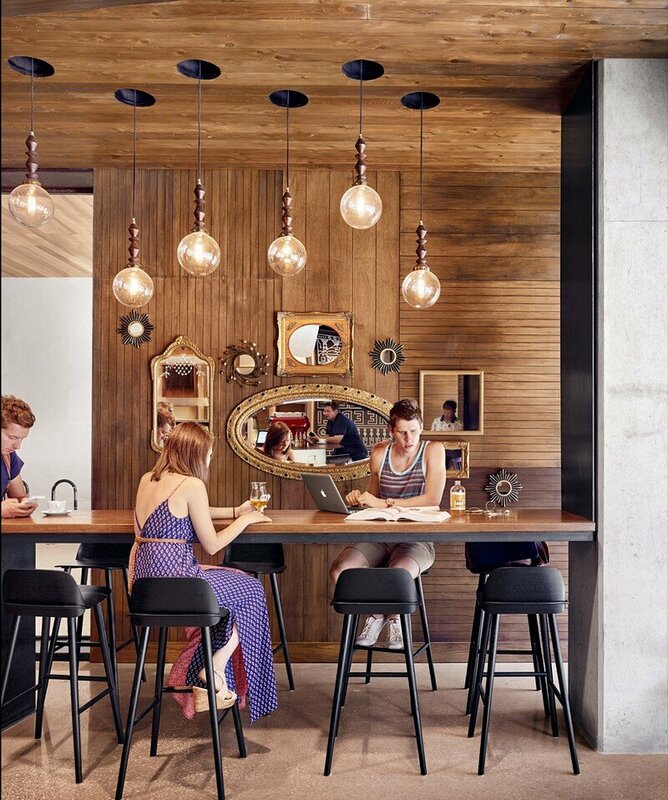 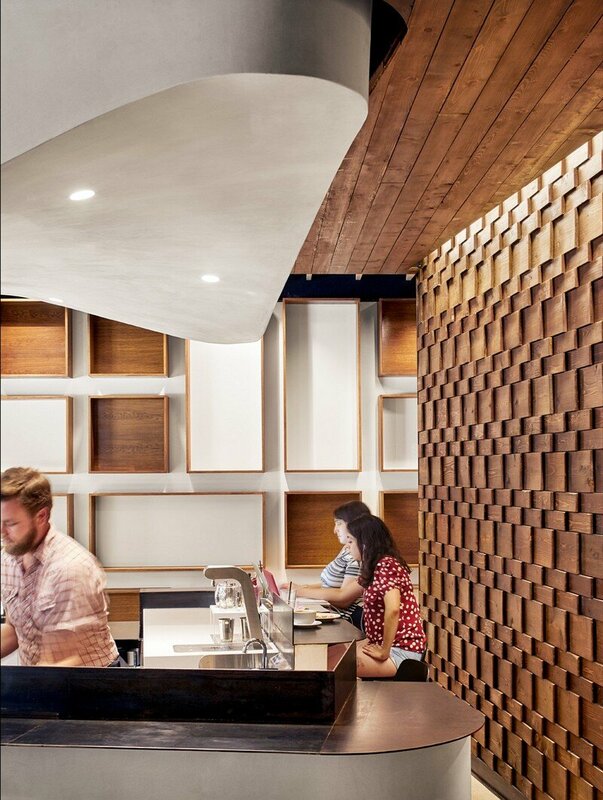 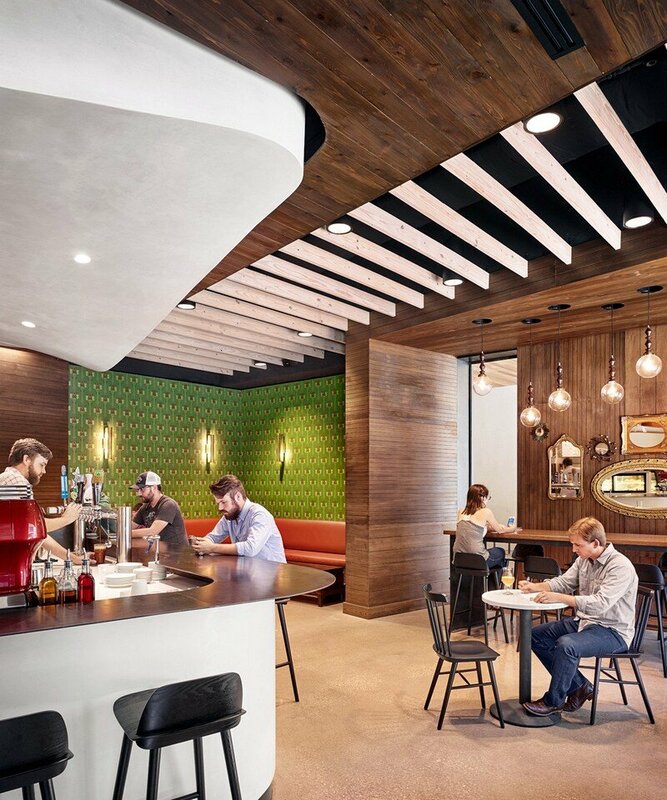 Caffe Medici is a project designed by Austin-based RUNA Workshop. 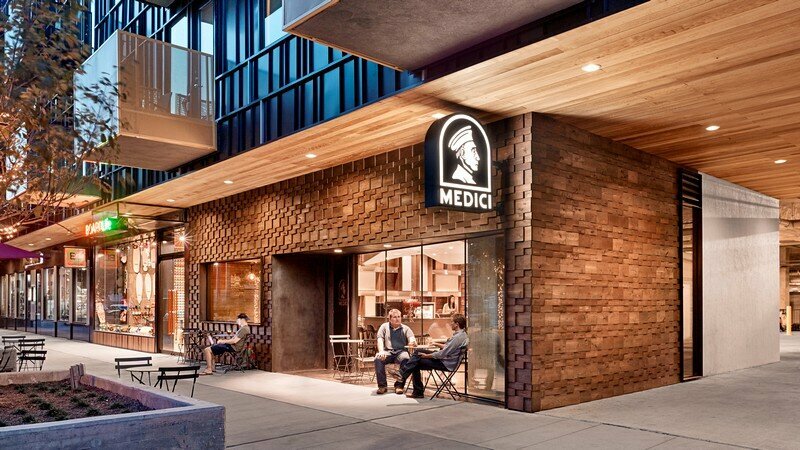 From the architect: The character of its neighborhood is at the heart of every Caffe Medici store. 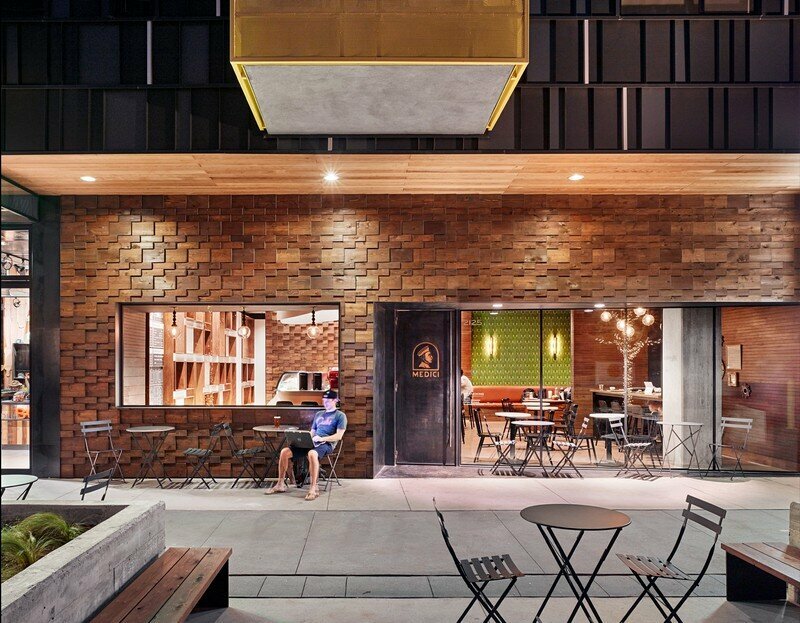 The new location is the first in South Austin, an artsy neighborhood landmarked by bungalow style houses and its eclectic culture. 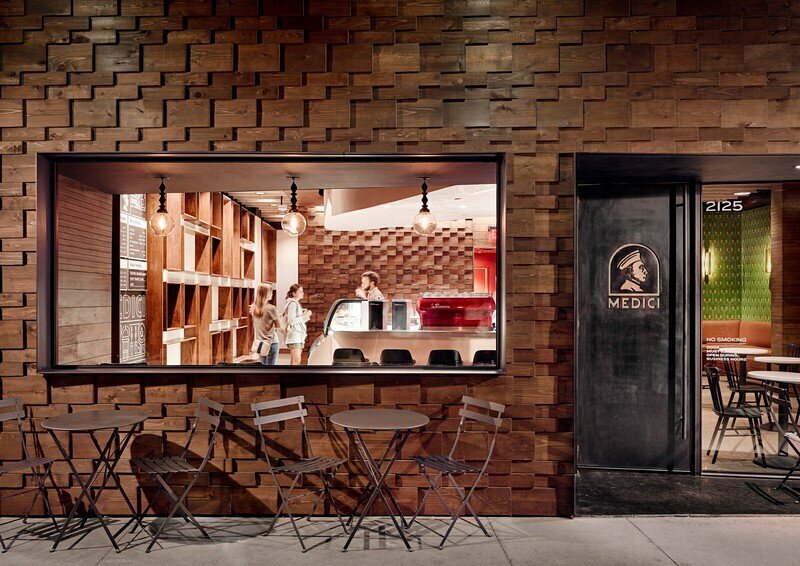 The concept for the new Caffé Medici is a deconstructed bungalow. 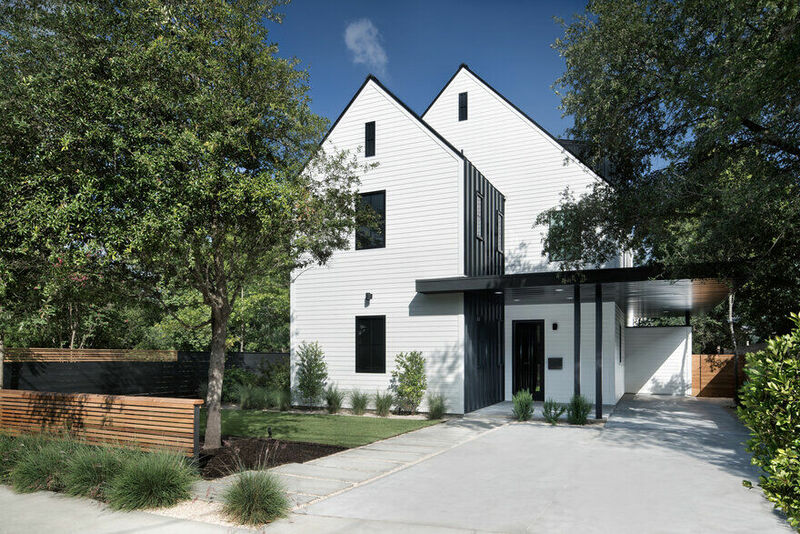 The design borrows from the archetypes of the traditional bungalow home and recreates it so the architecture feels familiar and also intriguing. 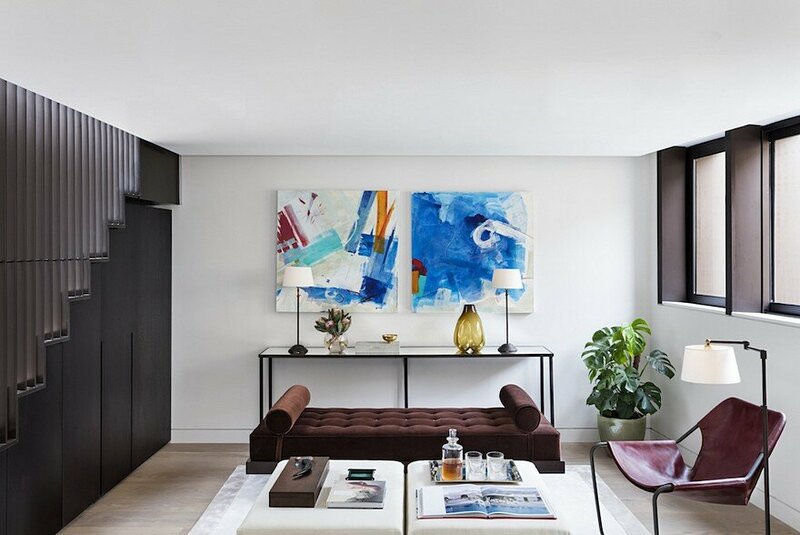 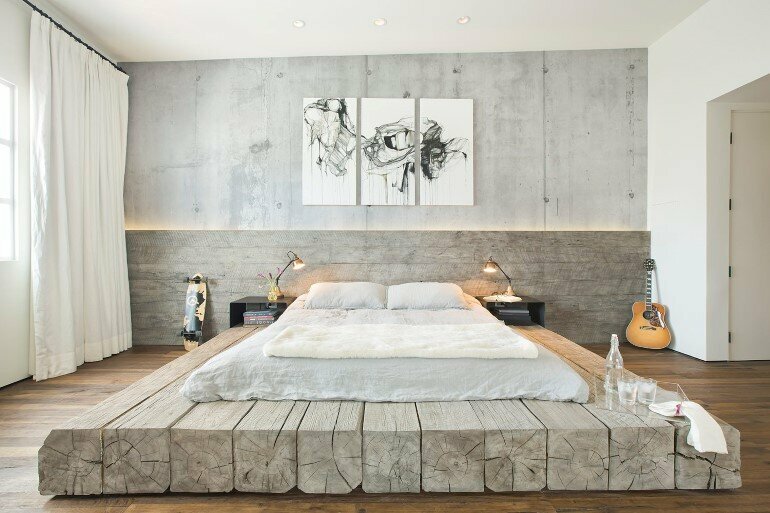 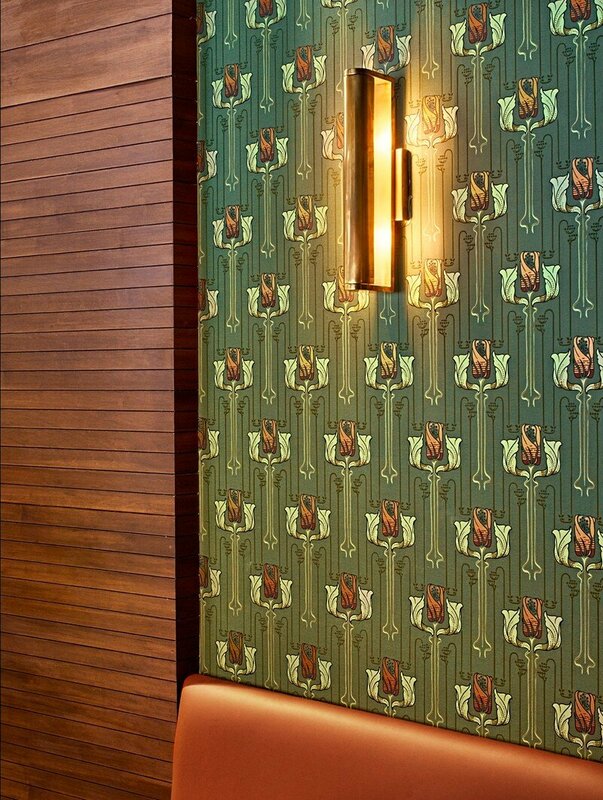 The interior emulates the coziness of the bungalow without being literal in its approach. 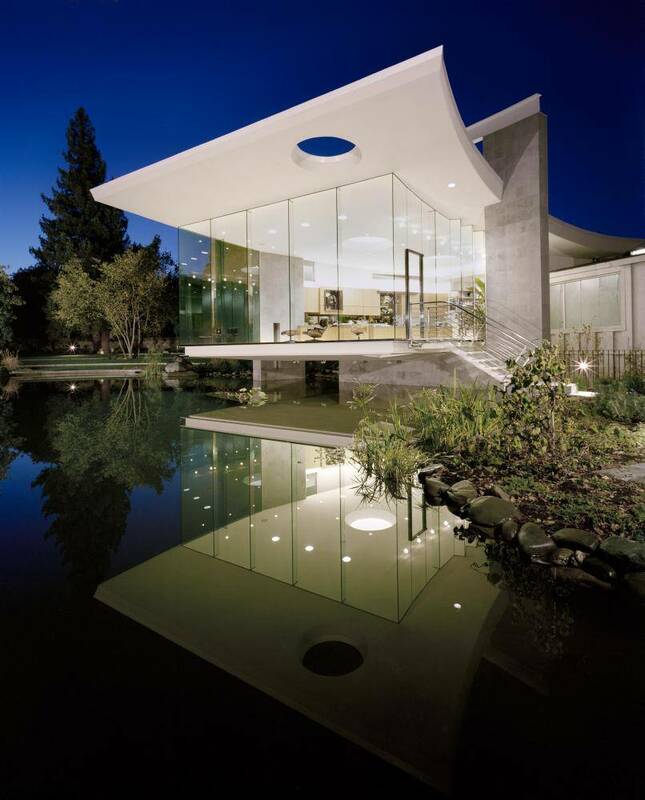 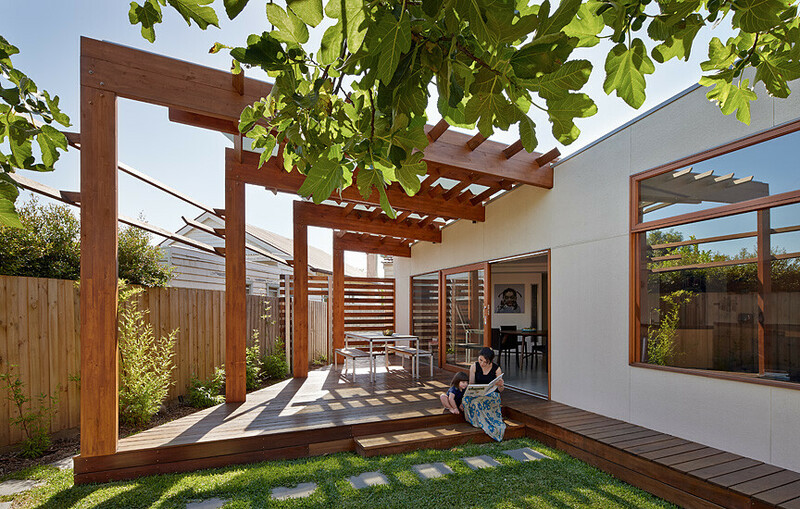 It all starts with the spatial transition between outside and inside throughout the idea of the porch. 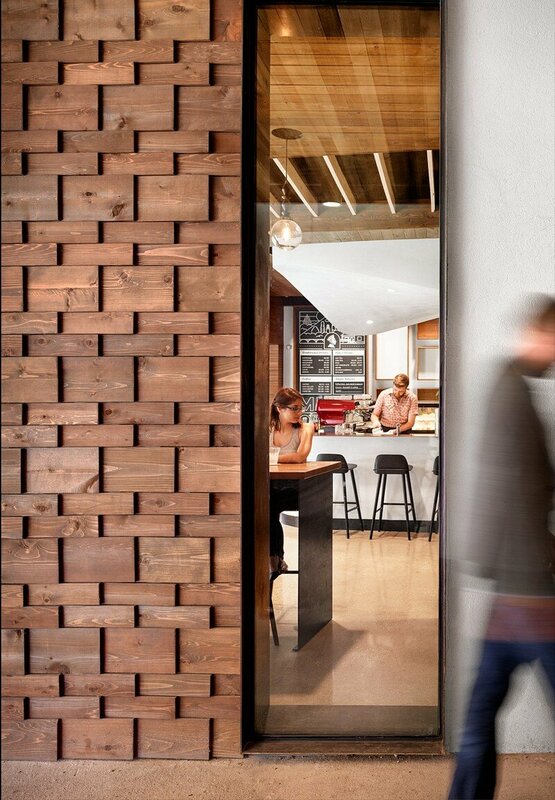 A steel portal frames the door and the windows, proud of the wooden scale-like facade which evokes the old wood shingles used for siding and roofing, placed horizontally to create a more pronounced pattern. 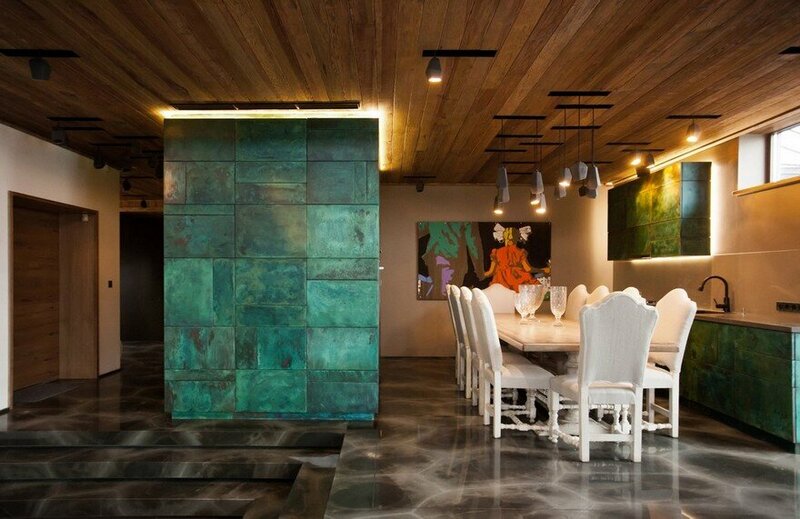 The entry steel door at the porch leads to the main room where the hearth, or chimney, becomes the focal point. 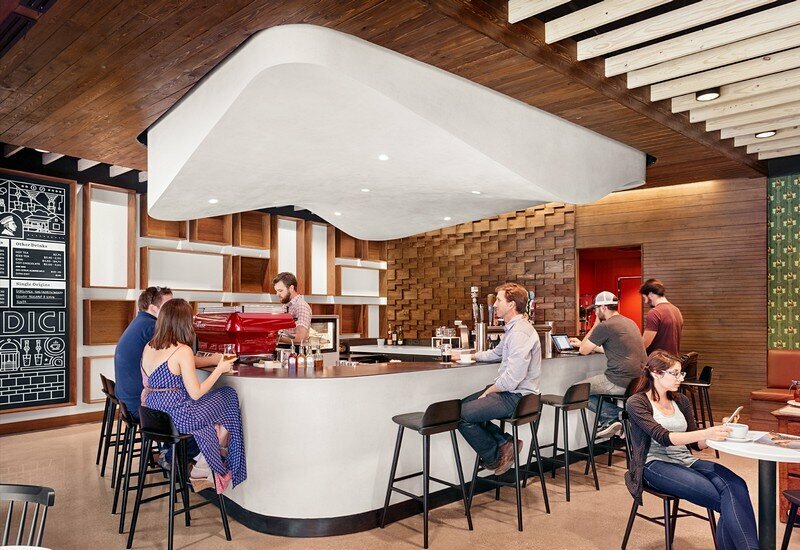 The hearth of the space is the bar, where the barista greets you and showcases the art of crafting espresso drinks. 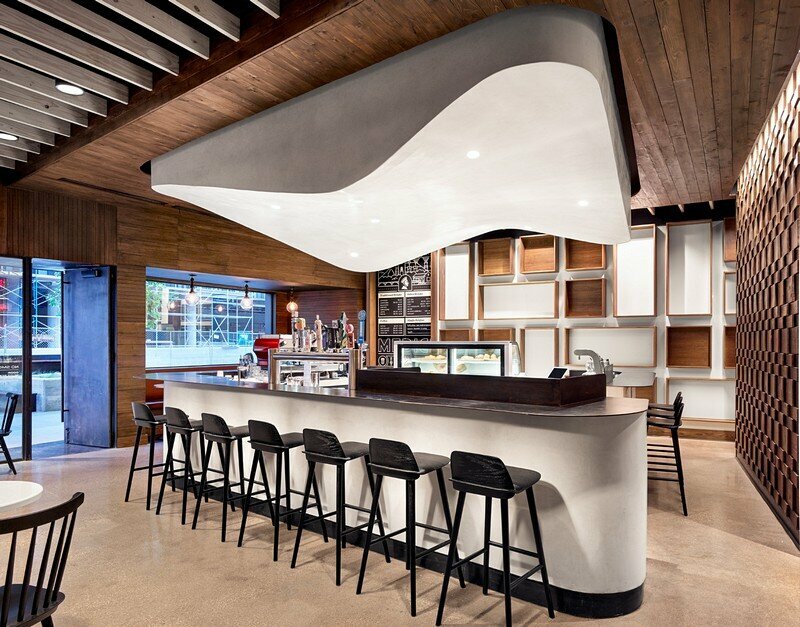 The bar is defined by a wavelike plaster ceiling that evokes fluidity found in fire & water both critical elements of the coffee roasting and brewing process. 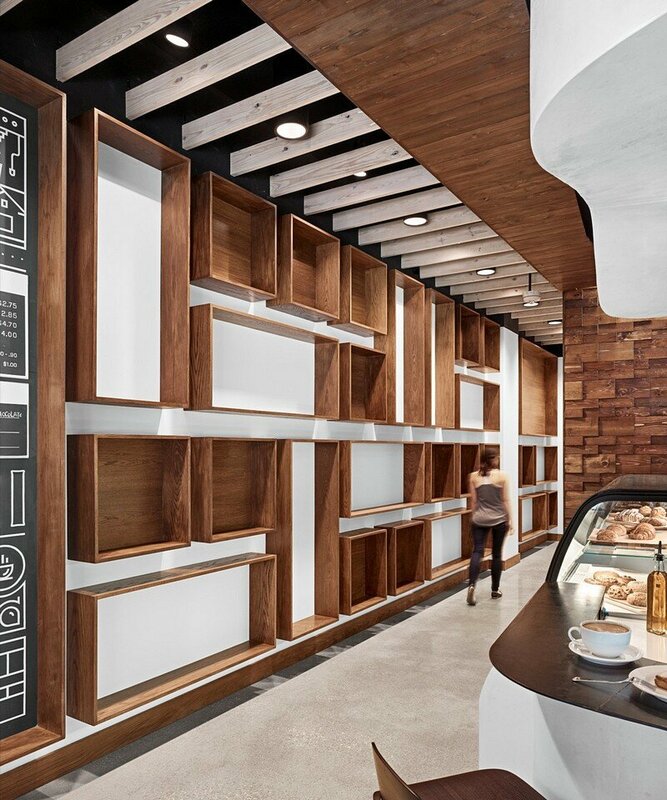 There are also small rooms within the main space, each catering to a different type of experience at this new Caffé Medici.